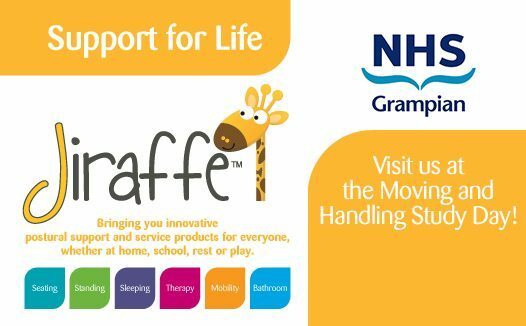 Jiraffe will be at the Moving and Handling Study Day at NHS Grampian, Aberdeen, showcasing the TRAM and E-Pacer by Rifton! Held on Tuesday 23rd, at the Beach Ballroom in Aberdeen, the day will focus on awareness of safe and efficient movement for staff and patients. Our friendly Product Advisor, Luke, will be on hand to offer advice and product demonstrations throughout the day. Tram by Rifton is a transfer and mobility device designed for the safety, convenience and dignity of both user and carer. Offering more utility for less cost, the TRAM seamlessly performs seated transfers and raises a user for standing and supported ambulation. E-Pacer by Rifton is an exciting addition to the Pacer family, combining the powerful electric lift column and secure body support of Rifton’s TRAM with the key gait training features of the classic Pacer. To read our blog on Safe Patient Handling and the Rifton TRAM, click here.